Flexible Wall Permeability Cell, 1.4 to 6in dia. Specimens - Gilson Co. Flexible Wall Permeability Test Cells for 1.4 to 6in dia. specimens are compatible with Gilson HM-350M Master Control Panel or HM-350A Auxiliary Control Panel, and other similar systems. The units have heavy-wall clear acrylic chambers and are equipped with solid machined-aluminum bases. Test Cells have precision zero-volume change ball valves and are constructed with rugged quality fittings. 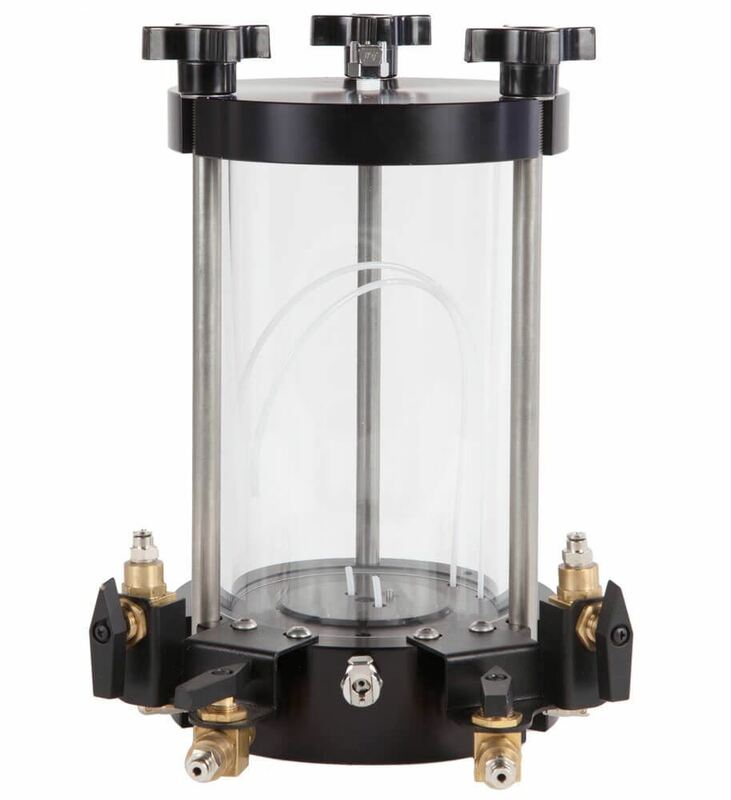 The maximum operating pressure is 150psi (10.3bar) – inquire about units built to handle higher test pressures. Chamber has an inside diameter of 7.5x13.5in (191x343mm) Dia.xH. HMA-516 Flexible Wall Permeability Cell is equipped with rugged quality brass fittings. HMA-516S Flexible Wall Permeability Cell has stainless steel valves and fittings that offer corrosion-resistance from harsh permeant fluids. 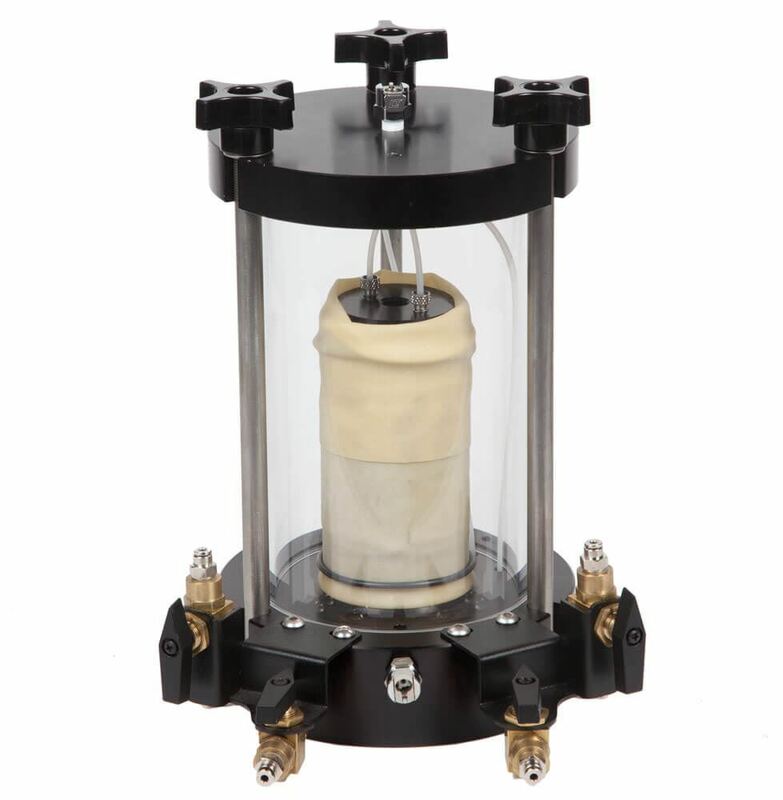 Permeability Test Cells can test a range of sample sizes; HM-516 models can test soil specimens from 1.4in (35.6mm) to 6.0in (152.4mm). 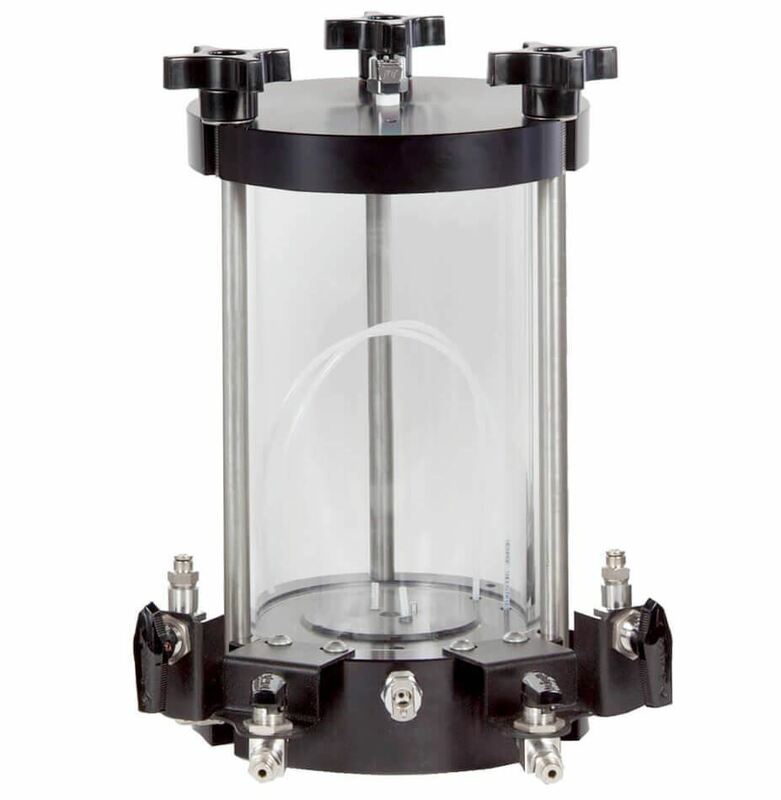 A size-specific Test Cell Kit is required for use with test cells and sold separately on the Test Cell Accessories page. Each kit contains the individual components needed for testing a specific sample size, and all components correlate to that size. The kit includes one anodized aluminum specimen cap and pedestal, two Porous Stones, two Latex Membranes and four O-Rings. 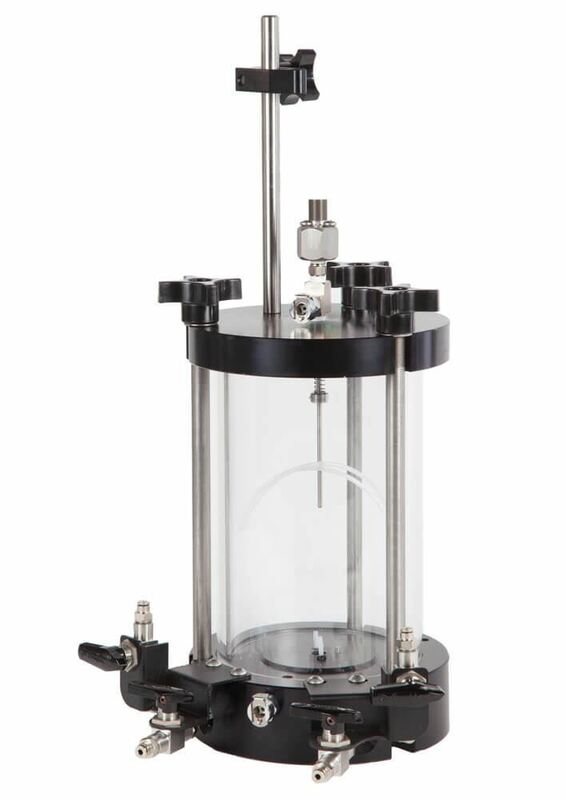 Several optional accessories, including the HMA-506 Specimen Height Indicator for Triaxial/Permeability Testing and HMA-521 Digital Pore Pressure Gauge w/Transducer, are available separately and shown below.